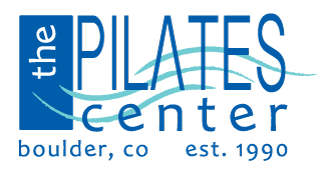 The Pilates Center Bridge Plus Teacher Training Program is six months long and requires one trip to Boulder, Colorado or a Licensed Teacher Trainer’s studio to complete their final exams. Students are encouraged to visit The Pilates Center as often as possible. Students should plan to send videos periodically to TPC throughout their program. Students should expect to dedicate a minimum of 10 – 12 hours per week to their Internship. Graduates of this program receive The Pilates Center Advanced Teacher Training diploma. A balance of classes and privates will enhance your uniform development. Understand that the goal of each teacher is based in the foundation of “Return to Life”, although the language used for cues, images, and the modifications given for exercises may vary. When in doubt re-read “Return to Life” and see how the lessons enhance your own awareness related to the goals of Pilates or review the online lectures. Refer to the current class schedule. Take regular classes to experience this type of teaching with flow and take trainee classes to delve deeper in the teacher training questions. It is encouraged for students to film or vocal record private lessons. Students can vocally record classes as well. These are an additional cost to the student and not included in the program. Please also keep in mind that although we require 40 hours of lessons to complete the program you may want to, and we encourage you, to take more lessons budget permitting. Local students: At TPC, there 8 – 10 teachers that have been working in a teacher training facility for at least 2 years, and teachers with 20 plus years’ experience. It is encouraged to take lessons (classes and privates) with different teachers to find a teacher that resonates with a student. TPC offers Movement Skills classes that are created for trainees to better learn skills needed to complete the exercises. These classes are a great way to collaborate with your fellow trainees and ask questions with the experience teachers at TPC. Observed Teaching’s referred to as OT’s begin after the completion of the Second Advisor Meeting. The purpose of the OT’s are for the students to experience being critiqued by different teachers prior to Final Practical. These appointments can be taken with any TPC teacher in Boulder. The student should challenge themselves by completing some or all of these with examiners/LTT’s. Students can come to these appointments with an agenda; i.e. teaching flow, bringing a client they have questions about (clients do not pay a fee when being a “body” for OT’s), teaching a certain level, etc. These appointments are meant to allow the student to begin to get over “stage fright” of teaching in front of different teachers, especially examiners/LTT’s. Local students: can work with any TPC teacher on staff. Long distance students: working with a HA, will complete their first and second OT with their HA then complete their final OT at The Pilates Center or completing them with a local LTT. Only 3 of the 5 OT’s can be done with a HA. A student can complete all 5 OT’s with a local LTT. The last OT is completed in Boulder prior to the final exams, unless completed with a local LTT. Long distance students can complete all 5 OT’s with TPC by either Skyping or sending videos for the first 4 appointments. However, it is suggested to use a local HA or multiple HA’s if there are multiple HA’s in the students area. Long distance students can complete three OT’s with a Host Advisor, the student will need to send video footage of themselves completing one OT to TPC or with a LTT. Students will alternate with HA and TPC staff/LTT during the program. Local students: have the option to attend a Teaching Clinic, which is available on Thursday’s in between the Weekend I & II, and Weekend III & IV Live Lectures. These clinics are a great way to practice different teaching skills in a workshop setting for two hours. If students are unable to make the clinics, the student can attend Teaching Skills (1 hour) and this can count towards these required hours. Offered at TPC in between lecture weekends as a two hour trainee workshop dedicated to teaching skills for students. The Pilates Center Bridge Plus Teacher Training Program examination process ensures that each Trainee graduates with the extensive knowledge necessary to be an exemplary Pilates teacher. There are three final exams – a final written essay exam, a practical teaching exam and a performance exam. During all performance and practical exams the examiners will ask why you are making specific choices and discuss (with you) what you are thinking. All written exams are taken on iTPC. TPC’s primary mission in the Bridge Plus Teacher Training Program is to produce the finest Pilates teachers in the world. To that end, the exam process is both challenging and stimulating, and yet sometimes even confronting as well. Know that the examiners have high standards; but at the same time, they are also profoundly committed to making sure you have achieved proficiency, and beyond that, to helping you reach even higher goals through the testing experience. This essay exam is purposefully worded to show what you know and how you think. The questions range from history through theory and often combine multiple aspects of your training. The exam must be typed and attached to iTPC, refer to Essay Writing document. 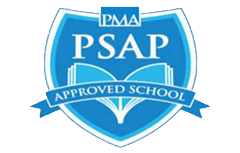 A Licensed Teacher Trainer at TPC or local to the long distance trainee will grade this exam. Please allow up to two weeks to receive feedback. This exam is taken in Phase 5. Refer to the Written Exam 3 Study Guide document. In this exam you will perform the advanced (Level V) Pilates repertoire. Students will perform either Reformer or Mat depending on equipment availability and should be prepared for both. This exam is taken in Phase 6 with two Licensed Teacher Trainers. Local and long distance students: complete this exam in person in Boulder at The Pilates Center. This exam needs to be schedule at least two months in advance to ensure availability in the schedule. If a long distance student is working with a local LTT, they can complete this exam in person with the local LTT and will receive feedback immediately; these students do not have to travel to TPC to complete their finals. Ideally there are two LTT’s or a LTT and HA sitting in on the exam. However, it is highly suggested to visit TPC at least once during the training program. LTT will use the Performance Critique 3 during this exam, students will need to complete an assignment in iTPC after receiving feedback. Refer to Advanced and Bridge Practice and Final Exams document for exercises. This teaching exam allows us to consolidate all previous exam information so we can guide you through any lingering questions. The exam will be done on either Reformer or Mat teaching the advanced work, students should be prepared for both. It is a two hour exam and assures us that you know every exercise on every piece of Pilates equipment, are able to modify as necessary for your client, and can teach using all the skills outlined in the Critiques and How to Observe forms. Choose a volunteer client who is well versed in Pilates (an advanced (Level IV – V) Trainee that can complete all Level V exercises). This exam is taken in Phase 6 with two Licensed Teacher Trainers. Extensions are offered to provide extra time for Trainees to prepare themselves for exams, complete internship hours or to extend their benefits and graduation date due to personal issues. Extensions are $175.00 USD for one month (30 days) from the date of purchase. During an extension, trainees keep all benefits and continue to count all internship hours. Multiple extensions may be purchased. Any video camera or camera that takes video would work fine. YouTube is preferred or Vimeo. Both of these sites are slightly different, but both of them allow students to sign up for an account, upload a video and email the link. If a student is sending a video via Vimeo or YouTube, it should be emailed to Kelli@thepilatescenter.com. Be sure to invite Kelli to the video so it can be viewed in a timely manner.